ETC FusionHD™ for SimPad® PLUS creates a more valuable simulation experience by fusing audio and video with data generated from other simulation devices, thus creating a context of patient care. The power to practice safely in a simulated environment allows learners to gain crucial life-saving skills at no risk to patients. The integration of problem-solving abilities and simulation practice helps learners achieve the utmost competence to continue to improve the lives of patients, and reduce medical errors throughout their careers. ETC FusionHD™ makes it easy to capture data from Laerdal® SimPad® PLUS-compatible manikins live, in real time, without the need to import files before debriefing. 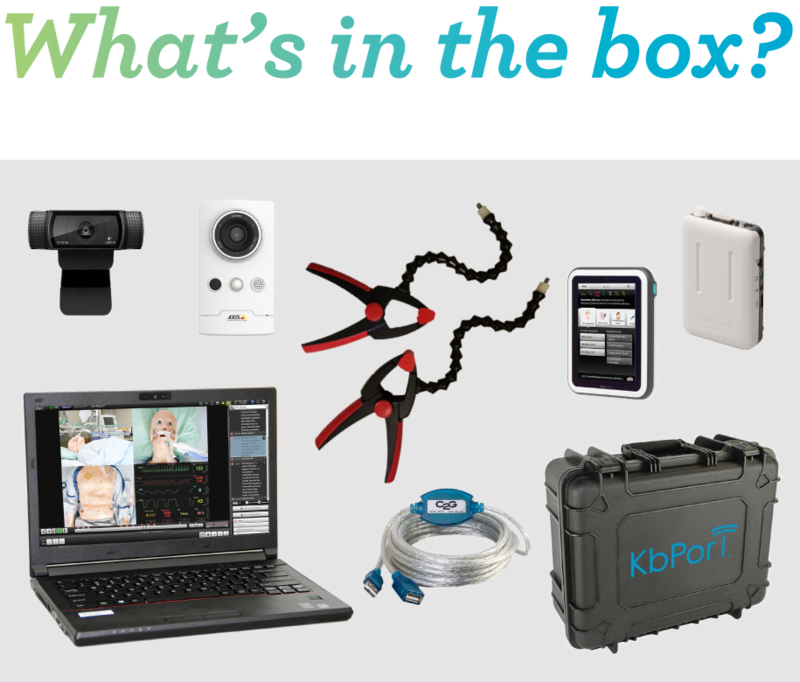 ETC FusionHD™ is a web-based recorder with live video streaming and instantaneous debriefing from anywhere. SimPad® PLUS, an operating device used to control Laerdal® manikins and simulators, can be used with task trainers and standardized patients. It allows instructors, new or experienced, to deliver highly-effective simulation-based training. Use SimPad® PLUS in either manual or automatic mode to control simulations. Enhance clinical realism by programming and controlling SP or manikin vital signs and physiological parameters. ETC FusionHD™ captures manikin data from SimPad® PLUS automatically, eliminating the need to import files afterward. Debrief simulations with ease with the help of flags, custom events, HD video, and more. Save time and valuable energy that can be used to better instruct and inform learners, improving education and the lives of future patients. ETC FusionHD™ for SimPad® PLUS captures superior audio from the built in speaker from the Logitech Camera. ETC FusionHD™ can accommodate up to six video feeds, including high definition cameras for crisp and detailed video debriefing. Collect data from various simulation devices, such as the SimCartRx™ and SimCabRx™ lines, as well as BioFusion™ sensors, for the most complete and versatile learning experience. Integrate in real time with Laerdal® SimPad® PLUS-compatible manikins. 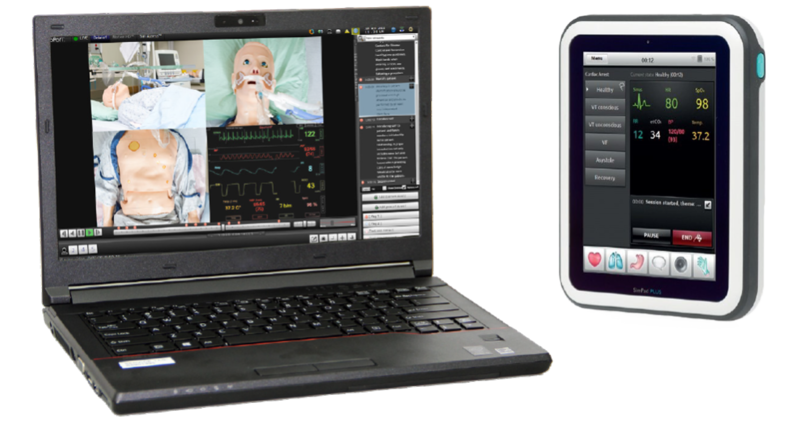 ETC FusionHD™ integrates with SimPad® PLUS to link, capture, and display, in real-time, the vitals and event data generated from SimPad® PLUS and Laerdal® Medical simulators. SimPad® is a registered trademark of Laerdal Medical, Inc. KbPort LLC is not affiliated with Laerdal Medical, Inc. KbPort™ is a licensed Laerdal® LLEAP® integrator.